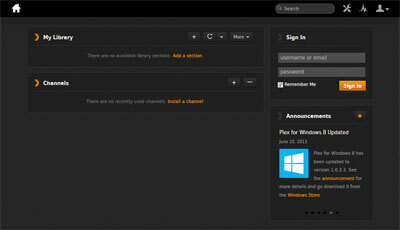 The guides here will help you install PLEX Media Server and PLEX Media Center. The Plex media center and player consists of 2 parts. The media center which can be installed on PC, Mac OS X and Linux. You will also need to install the Plex Media Server which is installed on the mcentral media server that has all the media files, such as a PC. The system will scan your media and pull all the metadata such as plot, cast, pictures etc. into your system to make a great looking front end. Plex in a similar way to XBMC can also run a number of add-ons or plugins that include streaming content from suppliers such as Netflix and Hulu. 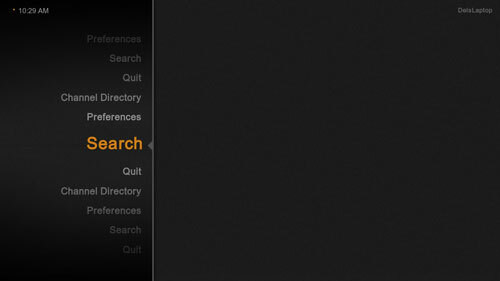 The Plex Media Center uses a lot of code from the open source XBMC Media Center, but the Media Server is custom coded. While Plex is similar in several ways to XBMC, it also has certain restrictions and also needs to be paid for it you want to watch content on mobile devices as the apps carry a charge of around $5. First you will need to install the PLEX Media Server on the computer that has the media files stored (click on the link on the left), and then configure the PLEX Media Server with the locations of the Movies & TV Shows etc..
After the server has been configured its time to install the PLEX Media Center on the computers so you can play your collection. Once you have the PLEX Media Server / Center setup properly its time to configure them.